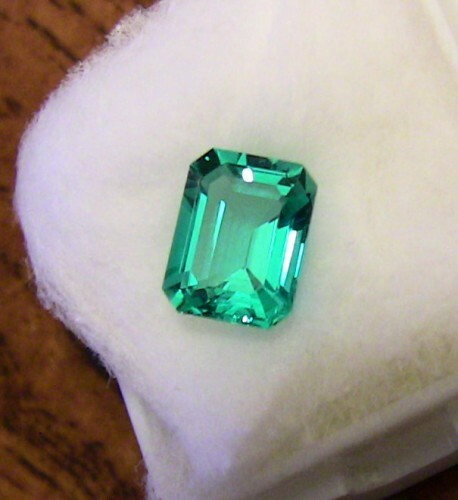 I'm pleased to announce that we are able to offer our Avarra Lab Grown Colombian Emeralds again, and at lower pricing of $80/ct! The factory was moved and rebuilt and production is now steady so we are offering these stunning Emeralds as custom cut so you can have the emerald of your dreams. *gasp! * Less, I was just asking (well, like around January) about getting another custom-cut emerald! So glad I stopped by to see this. Still doing the various level of inclusions--A, B, and C? Also: love the price, too! Great to see you! Yes, we are still doing the A/B/C level inclusions. C has become quite popular relatively speaking as it adds that touch of naturalness to it. May be working to get these out for sale on Amazon.com next week as another expansion. Just noticed the price has increased to $99/ct? Yes, for custom cuts it had to increase to be able to continue to offer the custom cutting. Cutting one stone at a time, each a different cut is much less efficient than cutting a set of fixed sizes. The stock inventory has not had any price changes and non expected at this point. Exciting times! I have two of your Kashmir blue sapphires and they are just ridiculously pretty. Looking forward to adding an emerald to the collection, hopefully someday soon! Is custom emerald going to Amazon.com?